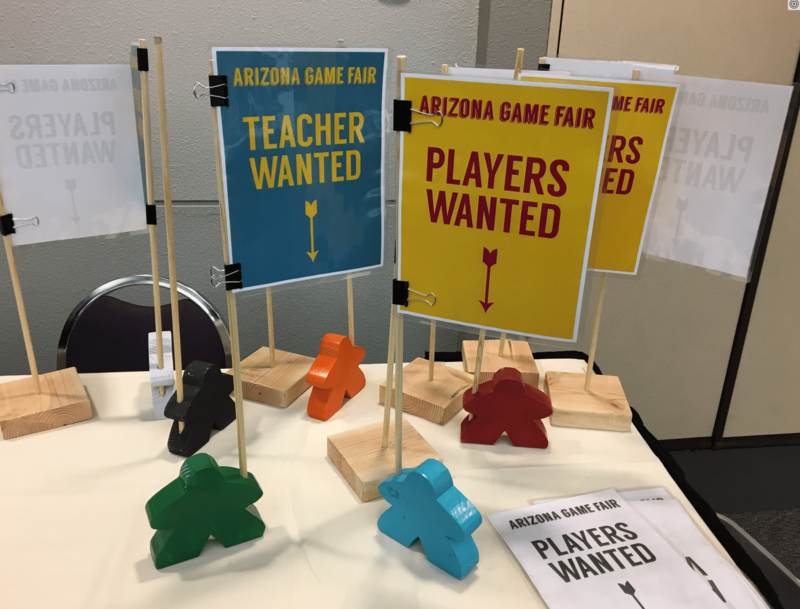 Arizona Game Fair 2017, its inaugural year, ran January 21st and 22nd at the Mesa Convention Center. Behold, the fruits of good marketing and a pleasant venue. 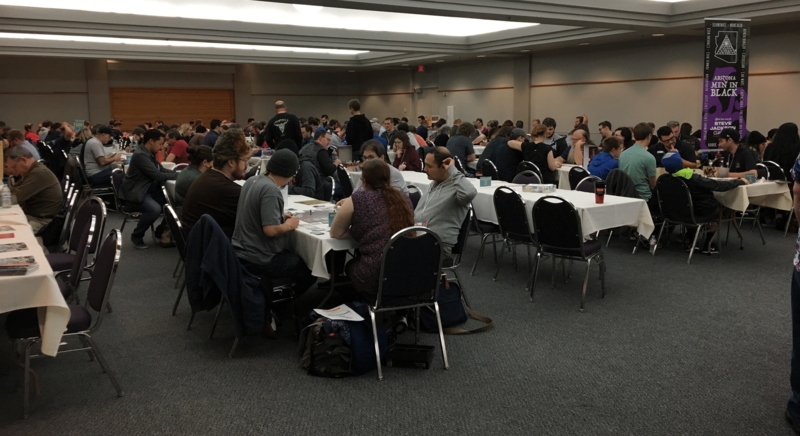 I spoke with the organizer, Andrew Long of Spielpro about attendance and mid-day on Sunday it was upwards of 400 people. Arizona Game Fair is the most successful start-up conventions I attended in the past 20 years. As with most things, preparation determines success and the convention overall was well done. Small things really made it a superior experience. 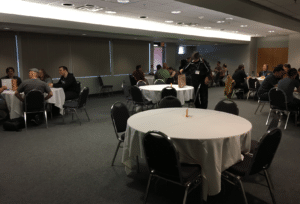 Starting with a substantial game library that was free to use for all attendees. I just left a credit card as collateral and picked up a game to play. 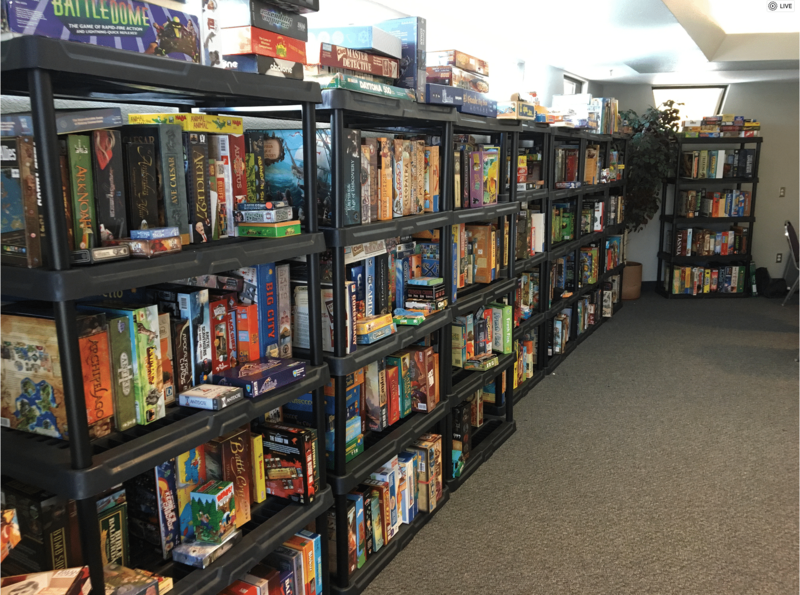 I asked Andrew where he sourced the library and he rented the entire thing from Downtimefun.com, a board game rental company. They deliver in the greater Phoenix area, but also do mail order. 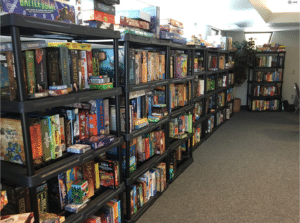 Not sure about the full library rental price, but individual games rent for as little as $5.00 a month. Once you have a game, you need players. No problem, AZGF covered that too. Just plant a flag on your table and gamers appear at your table. I usually do not mention logistical items like tickets, but AGF used Eventbrite.com to manage memberships and it made it very smooth. I just loaded a bar code on my phone and picked up my badge at registration. 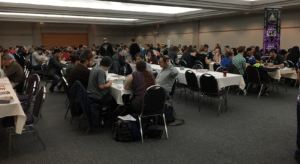 AGF tilts heavily towards board games but had a smaller room assigned to the RPGs. Arizona Game Fair was a major success and planning for the 2018 convention are already underway with a larger venue. I am marking it on my calendar already. ← For-Profit Conventions and Volunteer Staff–The End of an Era?